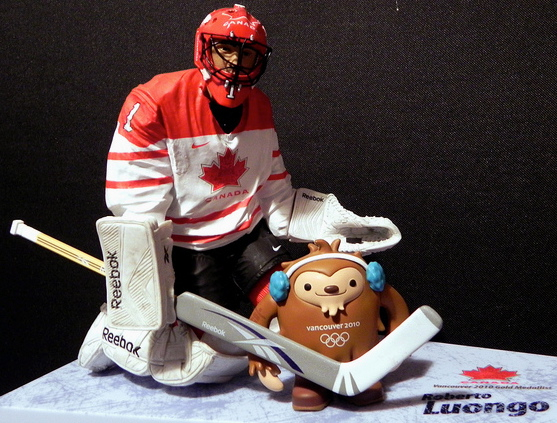 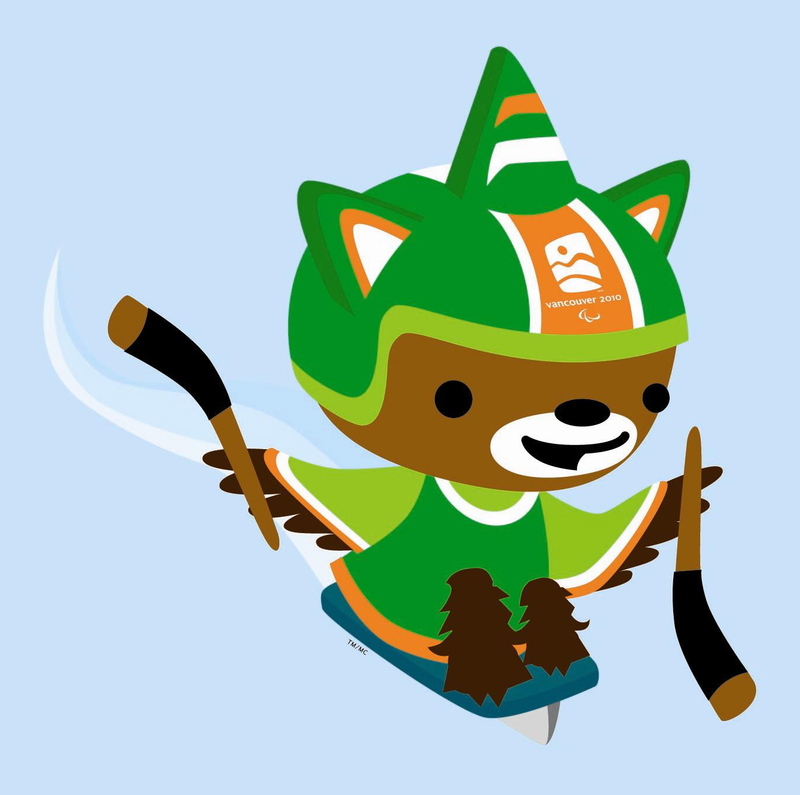 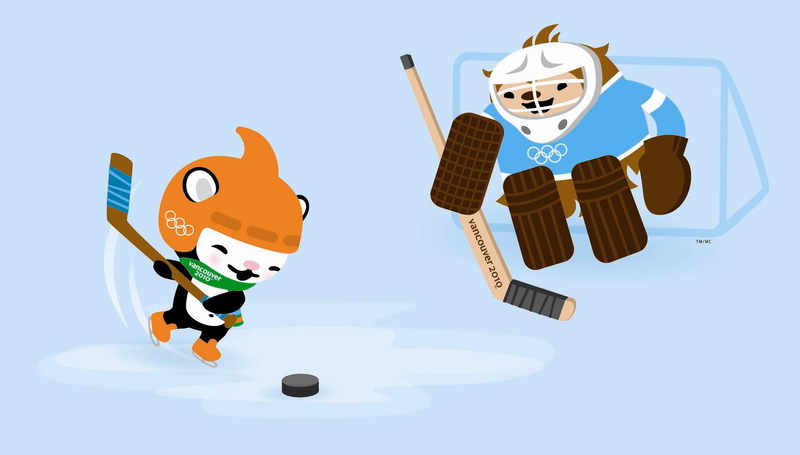 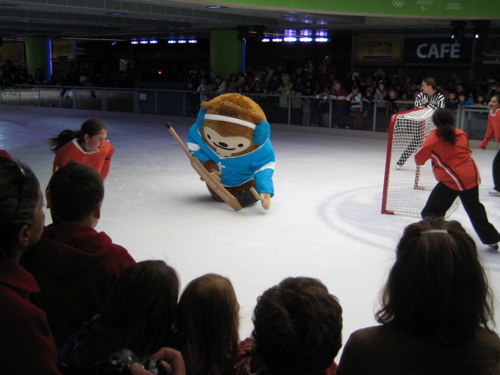 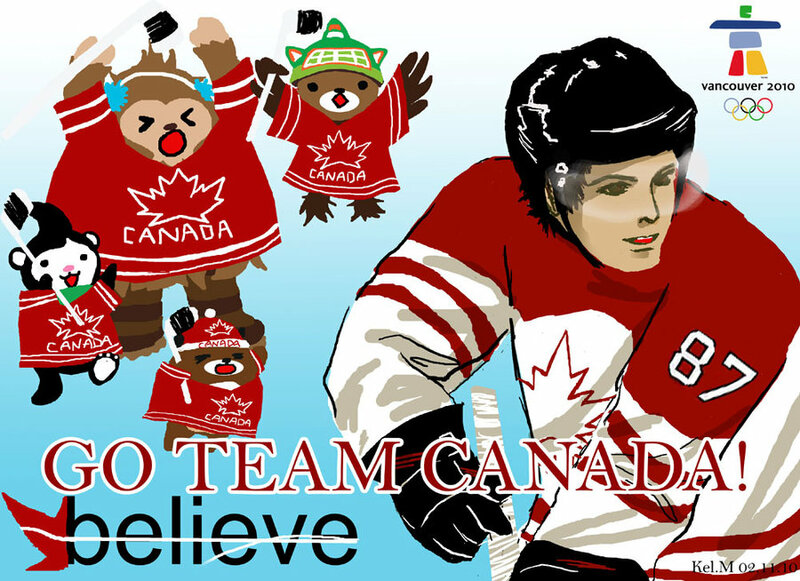 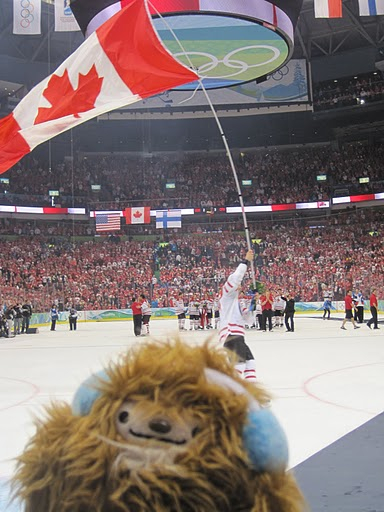 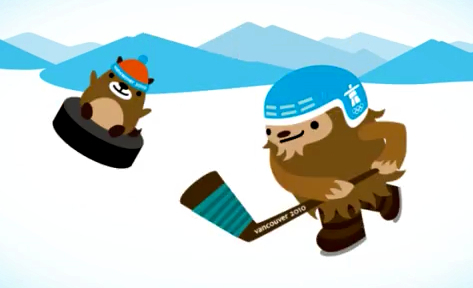 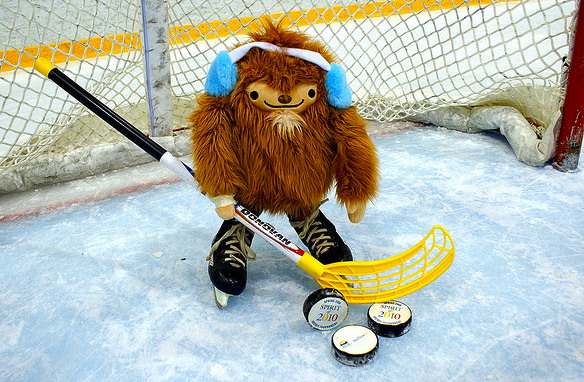 Quatchi’s Sport of the Day: Ice Sledge Hockey! 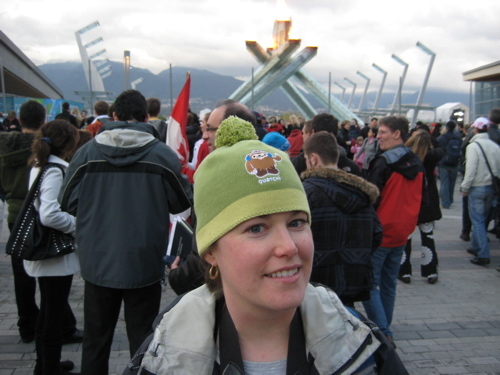 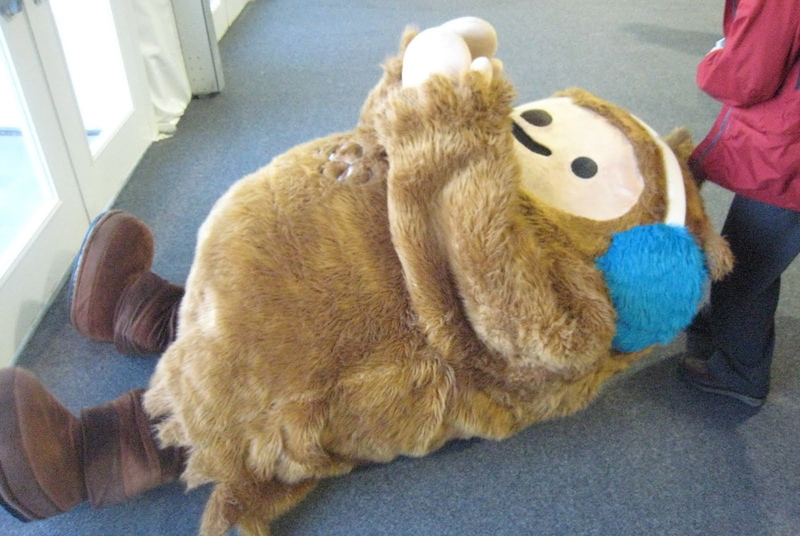 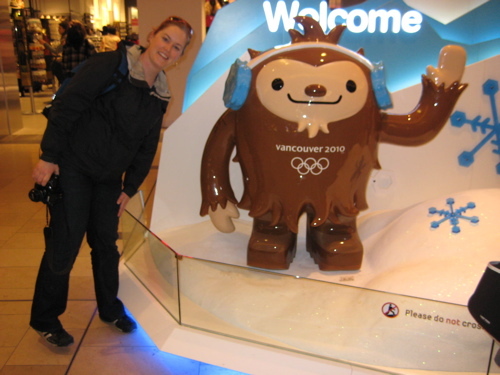 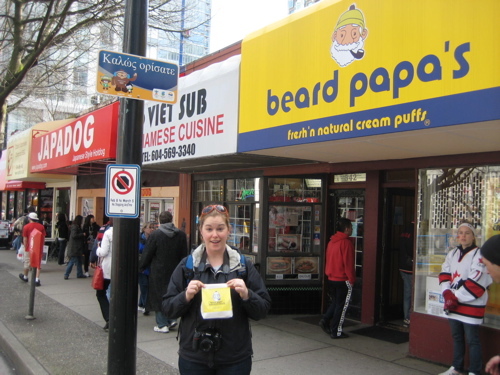 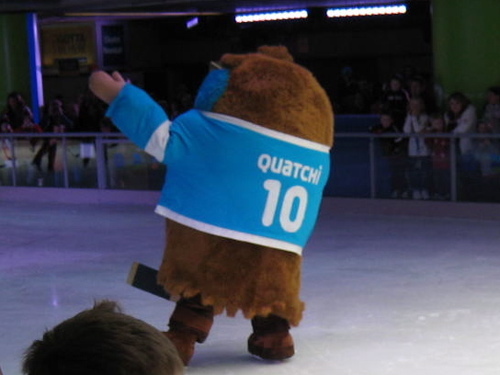 “I chased Quatchi down and he ran into a wall and fell over, still not sure if he was faking or not,” says Shaheen. 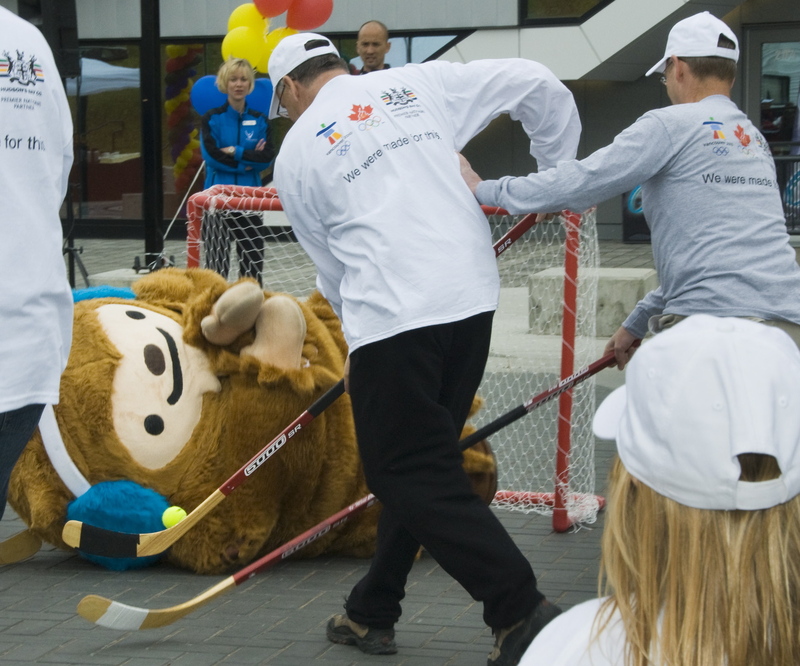 This game of street hockey got a little rough (found here). 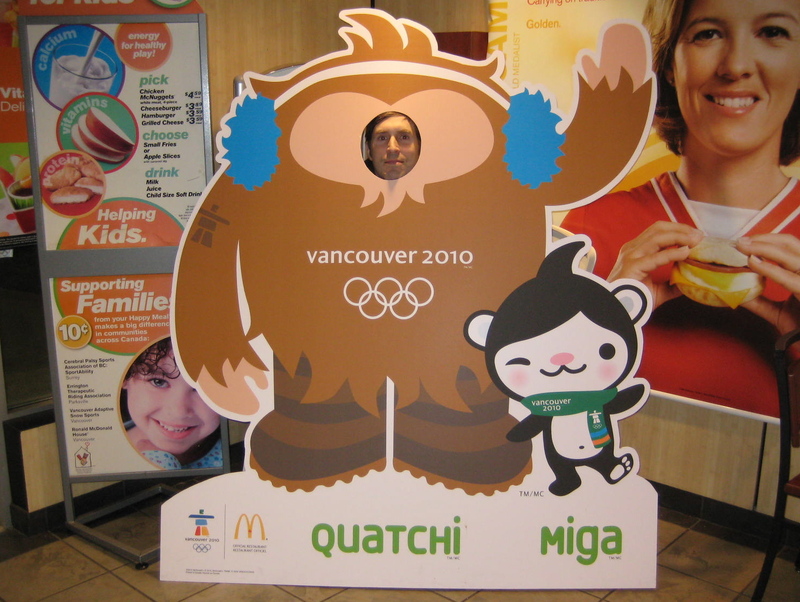 We’ve mostly recovered from our post-Olympics hangover, helped mightily by a few days in sunny San Diego. 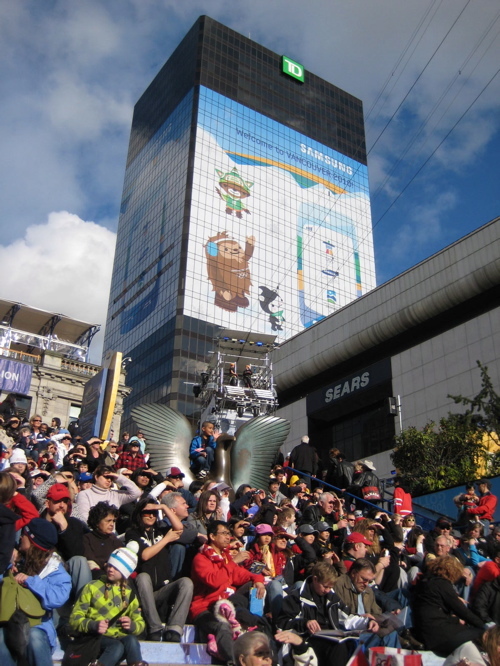 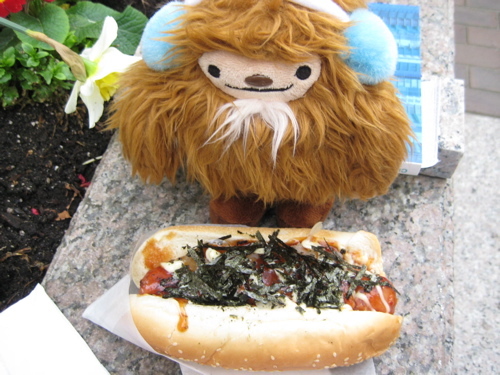 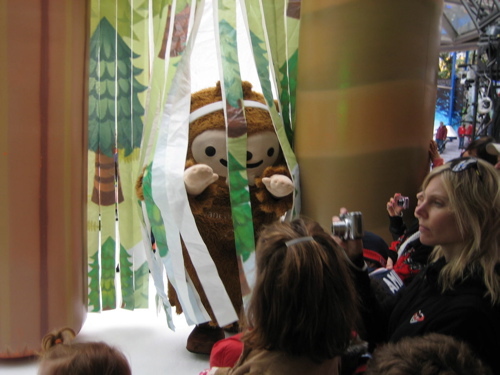 Quatchi himself is probably taking it easy during these couple weeks before the Paralympic Games, which begin this Friday. 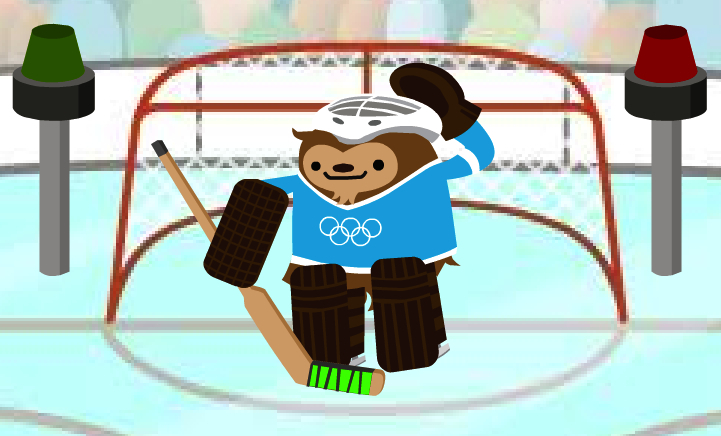 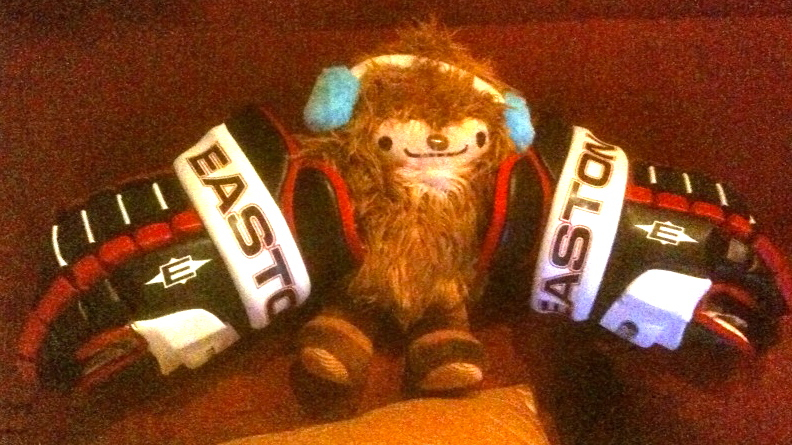 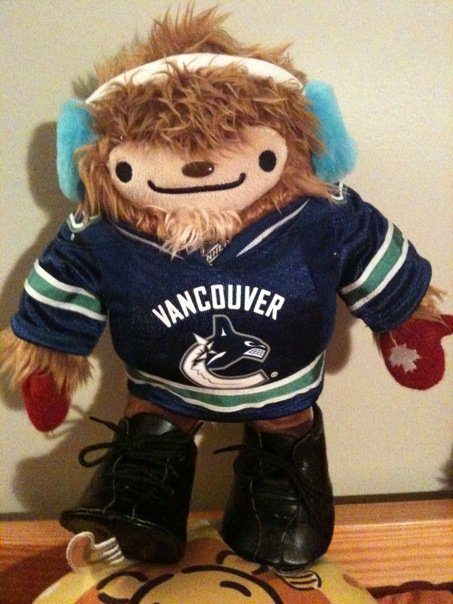 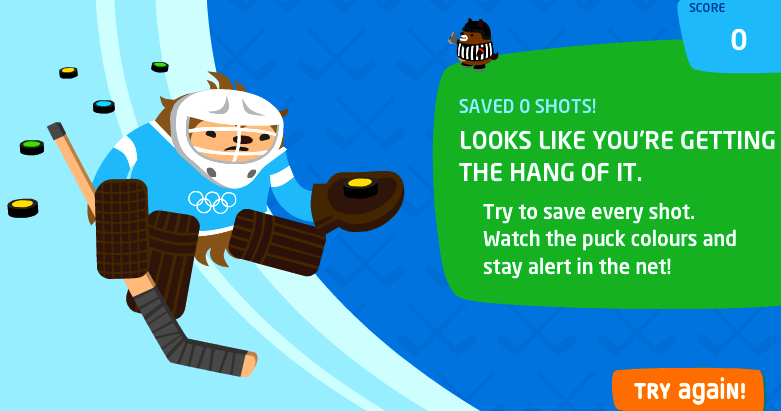 As promised, we’ll continue to update Quatchi Watch as long as we continue finding more cool stuff about our favorite goalie.